Front page of the Pilot from January 4, 1873. 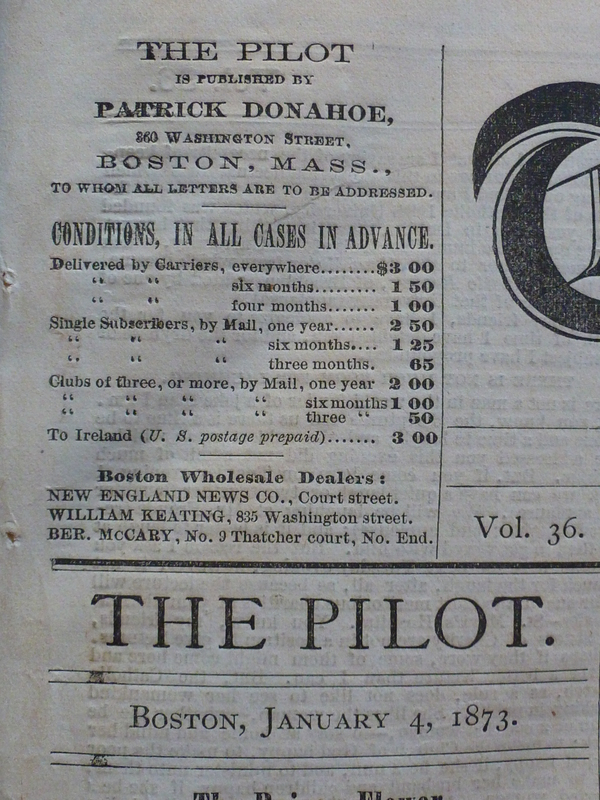 During much of the 19th century, The Pilot acquired a reputation of being an Irish-American cultural newspaper. In particular during and shortly after the famine years, Ireland saw much emigration – and unfortunately some of the families never heard from their loved ones again after they had left home shores. This sad fact prompted the Boston Pilot Newspaper, between October 1831 and October 1921, to print a “Missing Friends” column, with advertisements from people looking for “lost” friends and relatives who had emigrated from Ireland to America. 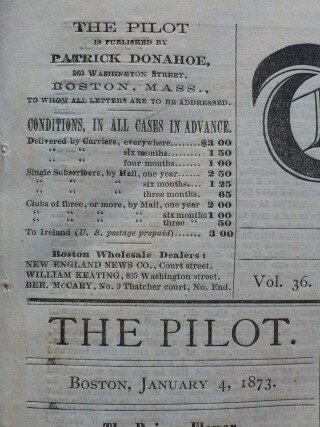 A new project sponsored by Boston College’s Irish Studies Program has digitized the Boston Pilot’s Missing Friends Column and the extraordinary collection of 41,249 records can be viewed on this searchable online database, which contains a text record for each ad that appeared in the Pilot. The database contains 121 listings under the Barony of Moycullen, and 45 under the Moycullen Parish search. One can only wonder how many of these missing pleas had a successful outcome.